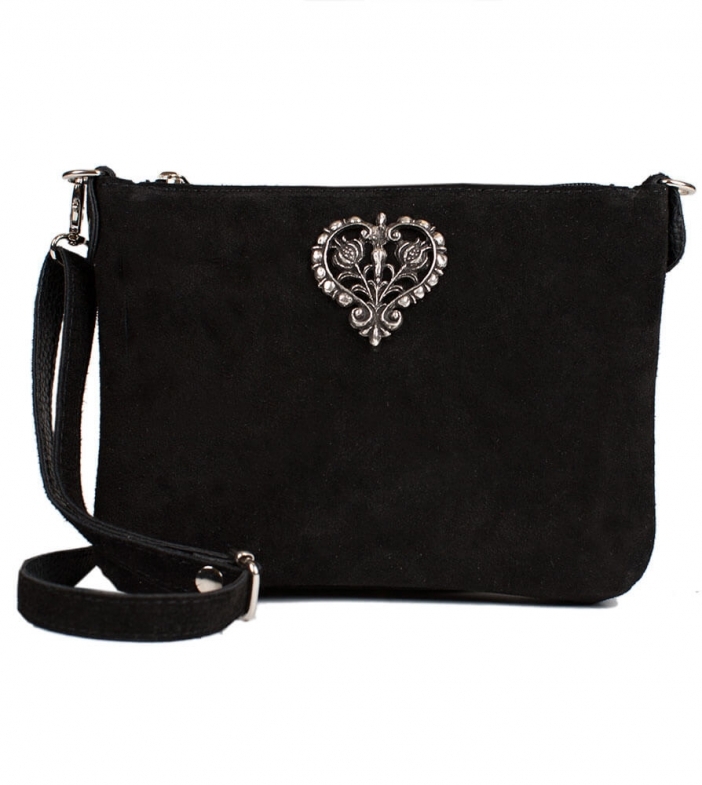 Stylish suede leather Dirndl bag in black. An exquisite finishing touch for a tasteful Oktoberfest outfit true to Trachten style, this timeless suede leather bag will match a little black Dirndl dress splendidly. The detachable strap is accented with chrome buckles, snaps and fasteners, with a matching zip rounding off the elegant look. The crown jewel is the ornate heart-shaped floral charm displayed toward the top, suggesting purity and grace.